Sierra Leone’s Ebola Emergency Operations Centre (EOC), headed by the newly appointed co-ordinator – Steven Gaojia – held a press conference Tuesday in the capital Freetown, spelling out the reasons for the proposed three day lockdown; what the government expects to achieve; how the door to door visit will be conducted; and how people are expected to conduct themselves during the lockdown. To the more than 90% of the population estimated to be against this decision, the information and instructions about the lockdown released yesterday, may seem daunting and scary, if not regimental. However, if all goes well, the government believes the three day lockdown could be declared a resounding success. But will it? The EOC says that they are aiming to achieve five objectives: To reach 100% of households with correct information on Ebola; increase community acceptance of Ebola affected persons especially children; promote handwashing with soap at household level, by distributing 1.5 million bars of soap across the country; rebuild public confidence and trust in the health system; and to establish neighbourhood watch structures at community level. The campaign will commence on the 18th September, with a presidential address to the nation. 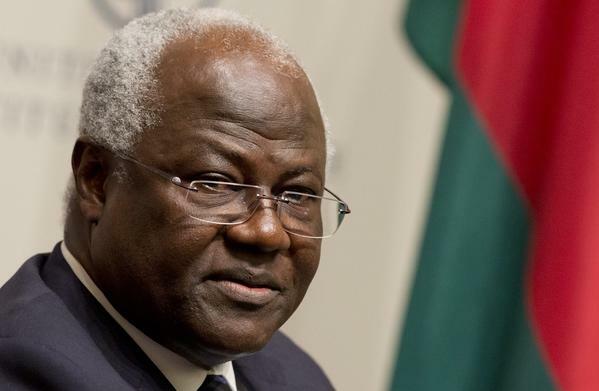 President Koroma will give an overview of the current Ebola situation and the government’s response. 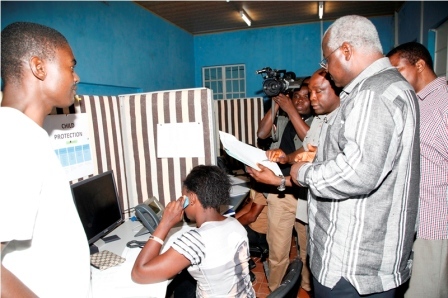 The EOC informed the people of Sierra Leone that Koroma will officially declare a ‘sit at home’ period of three days – commencing at 12.00am on Friday, 19th of September, until 11.59pm on Sunday, 21st September. This period will be marked by family reflection, prayers and education, whilst being visited by the Ebola campaign teams. The EOC says that the Council chairmen, paramount chiefs and town chiefs will replicate the presidential speech at various levels. From the 19th of September to the 21st September, every household and family in the country will be visited by teams of three persons, who will engage families through a 6-step approach of: Inspire (‘apologize’); Listen; Acknowledge; Empathize; Inform; and call to action. 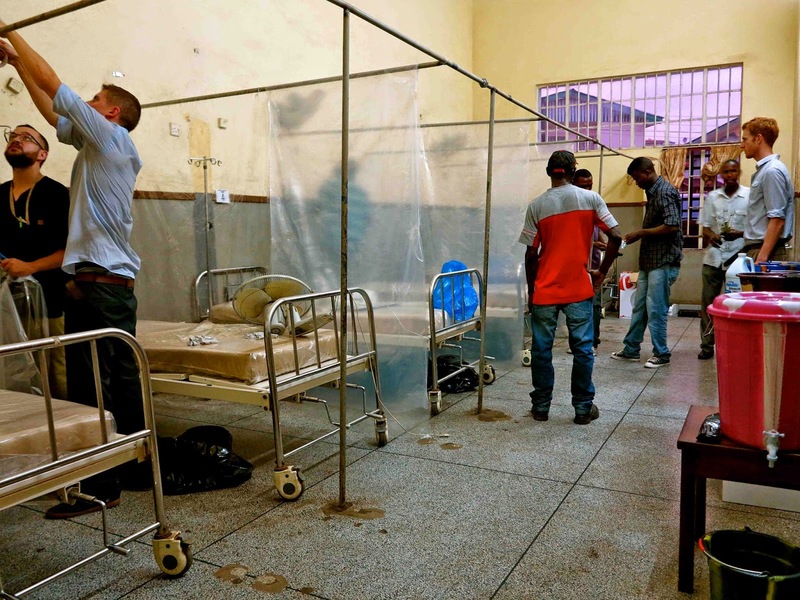 More specifically, the EOC says that the teams will aim to find out family knowledge of and concerns about the Ebola virus and provide correct information; provide them with answers to any questions on Ebola and seek to dispel rumours; explain the need for avoiding contacts with body fluids of infected persons and dead bodies; explain what to do when a family member is sick during the Ebola outbreak and the need to report early to health facilities; promote handwashing with soap; distribute and display relevant IEC promotional materials. According to the EOC in their press briefing, about 7,000 teams – comprising of 3 people per team of trained volunteers will be involved in the house to house sensitization activity – a total of 21,408 people altogether involved in the door to door visits. The training will incorporate safety measures for the teams. The community volunteers will be selected and deployed in their own communities, where they would also form the proposed local community neighbourhood watch. Training will be conducted at national, district and chiefdom levels to enhance quality. The EOC says that measures will be put in place to address increase demand for health services, including; the expansion of holding centres; increased logistics support (Vehicles and ambulances); Increased supplies of PPEs to Health facilities- gloves, masks and other protective equipment; training and re-orientation of health workers; and a team of neighbourhood watch community members will be installed to continue support and response in their communities. The content of the press statement appears reasonable and well thought out. And all things being equal, assuming that there are no serious social unrest caused as a result of the lockdown, and no report of people dying of non-Ebola related illnesses simply because they cannot access medical care, maybe – just maybe, there could now be some light at the end of the tunnel in this crisis, once the lockdown is over.